Whether it’s family fun or a just a bit of time for the two of you, the outdoor entertainment you most enjoy is right here in Wake County. From hiking at Umstead State Park to open-air concerts under the stars, you are sure to find something for everyone among the wide range of engaging activities. To highlight this variety, here’s an overview of a few of them. The hiking trails at Umstead State Park not only offer great outdoor exercise but the opportunity to do a bit of science education for the kids as well when you point out the various trees and birds. Renting a canoe or kayak at Jordan or Falls Lakes, or any of the 14 municipal lakes, enables your family to while away a few scenic hours paddle boating, with all hands working together for a memorable family outing. Sure, it offers a spectacular array of art indoors, but it’s the outdoor walking trails — permitting the family dog to join the fun — that will captivate your family as you view sculptures and statues ranging in height from 4 to 50 feet. 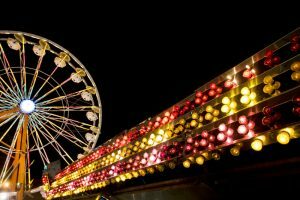 While the terrific agricultural and art exhibits are expected at this 11-day event in October, it also features great nightly musical performances along with a spectacular fireworks display. What is summer without at least one outdoor concert? A wonderful and varied series of them is offered from June through August, with everything from party bands and jazz influences to funk bands and classic rock. Whether you want to be a beer connoisseur or just pretend to be, the more than 25 local breweries allow you to indulge in all kinds of beer and tour the facilities as well. Savoring a bit of the upscale shopping at North Hills is nice, but don’t overlook the fabulous finds and lively atmosphere among the 600 weekend vendors of antiques, jewelry and handcrafted items. With all these activities, who stays home? But if you are someone who also enjoys your backyard, call to send a text to Holly Springs Builders (919-346-0678) to help you create that perfect space!